Now that I’ve slowed down the podcast production, I hope to have more time to write. Yeah, I know. That’s what all writers say. Whether more writing occurs remains to be seen. But, I will have more “time” to write. I had set a goal to produce one podcast a week, every week in 2017. That may not sound like much. Producing a 40-minute show is me. One guy. One guy setting up the interviews, doing the research, recording the conversations, editing the conversations and publishing them. Then, there was the social media, the website, and a bunch of little things to produce and maintain. I did it every week for over a year. My hope was to build a listener-ship and generate some ad revenue. It didn’t happen. It takes a minimum of 20,00 downloads a month to even think about ad revenue. While we came close a couple of months, we simply could not get over the hump. I could list off a litany of reasons why we didn’t draw more listeners, but after five years of production, it comes down to one thing – compelling content. Well, I should say, lack of compelling content. And, that could be because I cast my net too wide. We talked about all aspects of horse ownership. Our topic list was broad, everything from Mustangs to working equitation. The things I wanted to know more about were the things I knew little about. Yes, I used the show for my own education. For the most part, podcasting was fun. The difficulty in finding guests, guests that could talk, and guests that would draw listeners was a challenge. Many of my guests came on the show as a favor. Some had something to promote, but most left the promotion to me. Don’t take this the wrong way. I’m going to make an observation about horse owners. I’ve observed it in other pet owners, too. Here it is: they enjoy talking about their horse more than listening to others talking about their horses. So, a show where other people come on and talk about their horses loses some appeal. I could have remedied this somehow, but I could not figure it out. To top it off, the horse world almost takes pride in avoiding technology. It takes jumping a few hurdles to get a podcast. (It’s easier now than it was when we began in 2012, but it is still a challenge.) This will change as a new generation of horses owners grow up with the technology. I don’t have time to wait. In their defense, their horse knowledge was already way above mine, so their need to learn was not nearly the motivator as it was for me. Still, I need to get better at networking. By announcing the end of weekly production I have more free time to write. I can still produce shows and call myself a podcaster. I’m working on one right now. I’m taking a different approach. More editing is involved, but my hope is to have a better product. One with more compelling content. It’s probably too late to get more listeners, but I’ll have more fun. What to write about? I’ve tried my hand at fiction. Making stuff up that’s believable is even more difficult than podcasting. I may give it a try again. For now, I think I’ll attempt at putting down my thoughts about health and living. I owned and operated a health food store for thirty years. That’s where I have my 10,000 hours as Malcolm Gladwell would say. Look for it in the coming weeks. If you have a question, leave it in the comments section. I could use it for inspiration. I may need it. 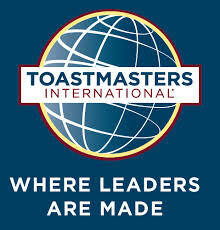 In September of 2017, I joined the public speaking group, Toastmasters. As part of their program, I’m encouraged to stand up and speak in front of our group. The topics and types of speeches vary. This was my first Toastmasters speech and is called the “Icebreaker”. Madam Toastmaster, fellow members, and guests…. I’d like to tell you a little about me, the events in my life, and how a term from Improvisation called, “yes, and…” has impacted my journey. First, by the numbers, I’ve been married for 36 years. We have no children but have 3 horses, two dogs, and 5 cats. Animals are a big part of our life. Life is something of an Improvisation and ‘yes, and…’ is a key component, even if things don’t always work out. I returned to Bakersfield in 1977 after making a mess of my post-high school years. I got a steady job and said ‘yes’ to my best girl, Ranae, and we were married. Side note: Guys, if you make this decision correctly, all the others come very easily. My Dad owned an oilfield machine shop downtown. When oil hit a record high $30 a barrel in 1982, he invited me to buy into the company. It was just the two of us. I didn’t know anything about machine work, but he promised to train me and I said ‘yes’. Three months later oil plummeted to $7 a barrel. As luck would have it, there was a health food store across from our shop and I was a regular customer. One day I asked the owner how to go about opening a store of my own, which I hoped to do after Dad retired. The shopkeeper said he turned 65 in 3 months and was looking to sell and retire. I said ‘yes’ and we were in the retail business. I worked mornings and evenings at the store and daytimes at the machine shop. Ranae was the face of the health food business and, though we struggled for a number of years, things got easier. Dad retired and we sold the machine shop in 1995. With increasing health insurance costs for the self-employed, Ranae took a job with the County Tax Collector’s office in 2006, to ensure we had medical coverage. I continued to operate the store. In 2005, through a series of events that make a great story – unfortunately too long to tell here – I said ‘yes’ to buying my first horse. To make a long story a tad bit shorter, I immediately figured out I needed to learn much more about horsemanship if I were to survive the experience. I studied a DVD program developed by Clinton Anderson and Downunder Horsemanship. We visited trainers and participated in clinics and rode our horses a lot. Although we had owned Ranae’s horse our entire married life, we both knew little about horsemanship. To develop our skills, we sat in our garden after every ride, sipped an adult beverage, and rehashed not only our horses’ behavior but our riding skills as well. We thought these were valuable conversations that could help any new horse owner and, when podcasting was in its infancy, I began recording and posting our conversations on iTunes. 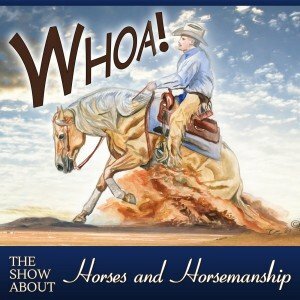 The Whoa Podcast about Horses and Horsemanship was born. The writing was on the wall for brick and mortar retail stores. I knew I would soon have to say ‘yes’ to closing the store we had owned for 30 years. But I wanted there to be an ‘AND’. I took several photography classes including a photojournalism class at Bakersfield College. I had also produced several horsemanship videos on our YouTube Channel. When a friend told me that a uniquely Australian horse-sport, called Campdrafting, was coming to the US, I pitched several Australian equestrian magazines to cover the event. One said yes. The wheels were in motion to close the store and I sped up the process in order to travel to Colorado to begin my new career as an equestrian journalist. I went on to have two articles, along with photos, published in the Australian Stock Horse Journal. Later, I would find it more difficult to enter the American equestrian magazine market. I focused on the podcast and, after covering a mustang training event, I was invited to participate as a trainer the following year. Of course, I said yes. On June 14, 2015, a horse, born and raised wild for 10 years, was loaded onto my horse trailer to test my correspondence-school-horsemanship skills. I named the horse ‘Scratch’ partly because of the several scars he had earned living in the wild and because that’s where we were both starting from…Scratch. Four months later we competed against 7 other trainers, six who made their daily wages training horses, and we placed 4th. While it didn’t all go smoothly, I demonstrated the bond we built by riding Scratch bridle-less in front of a packed arena while I was blindfolded. None of this would have been possible without saying ‘yes’. And, the ‘yes-es’ not only came from me, they came from everyone who helped me along the way. So often in this world, we don’t have time or energy to take on another project or learn another skill and our default answer shifts from ‘yes’ to ‘no’. Fight the urge to decline, embrace the new endeavor and say YES, AND see where it takes you. My most recent Yes brought me to Toastmasters.